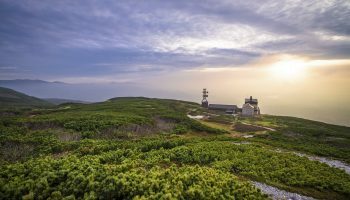 Don’t mistake Shikotsu-Toya’s closeness to the big city for low wilderness cred; with nearly 1000 square kilometers of lakes, volcanoes, hiking trails, and onsen, it boasts some of the most beautiful scenery in the prefecture. Boat rentals and numerous campsites make Shikotsu-Toya National Park a perfectly convenient getaway. 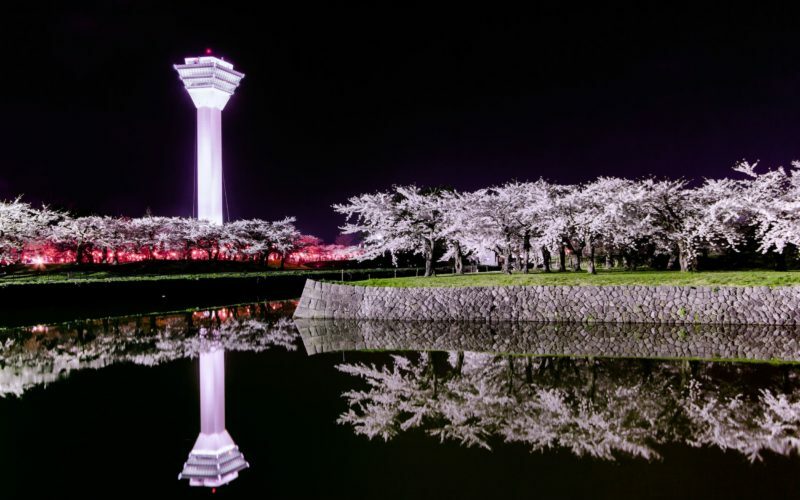 Shikotsu-Toya’s reach technically includes five different areas, including the nearby onsen (hot spring) towns of Noboribetsu and Jozankei, but the park’s main features are the two namesake lakes of Shikotsu and Toya. Lake Shikotsu is Japan’s second-deepest lake. 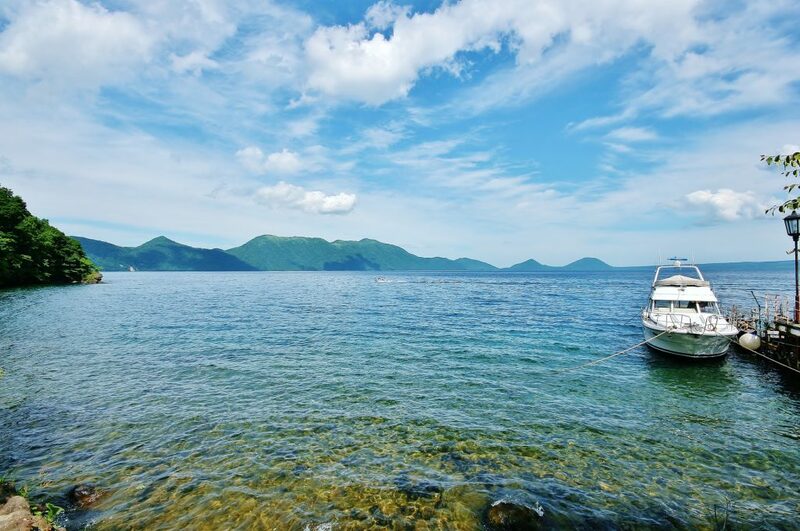 Lake Shikotsu is the second-deepest lake in Japan, with a depth of 265 meters, and is ringed by three volcanoes: Mt. Eniwa, Mt. Fuppushi, and Mt. Tarumae. These mountains offer great hiking trails, with incredible views over the park. The area is equipped with multiple campsites, the largest being Morappu. Those who aren’t fans of sleeping under the stars can stay in luxury at Shikotsu-ko Onsen and Marukoma Onsen. But don’t worry—the baths are open to non-staying visitors as well, so you can clean up after a day of tromping through the woods. 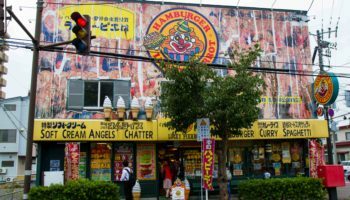 The only other sign of civilization is Shikotsu Kohan, a small town beside the lake where you’ll find a visitors center, restaurants, and boat rentals. 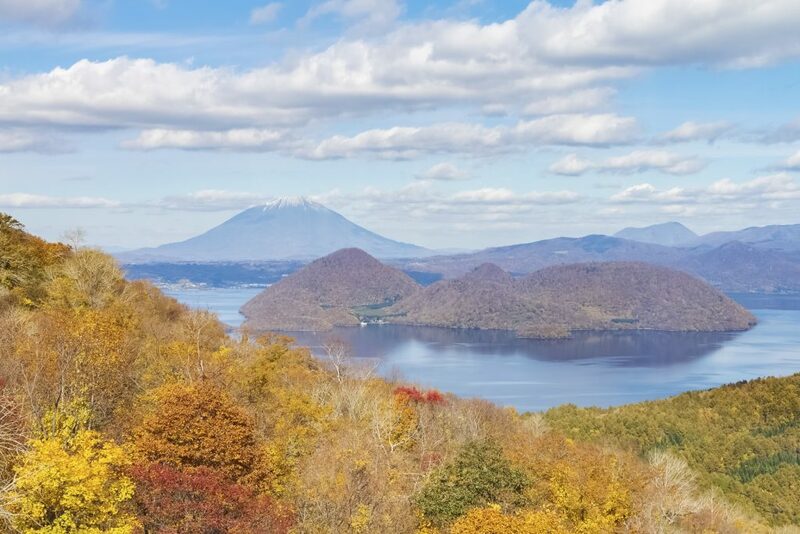 Lake Toya offers gorgeous autumn views from the Usu-zan ropeway. A scenic drive takes you to Lake Toya, a photogenic caldera lake with an island smack dab in the center. Like Shikotsu, Toya’s surrounding area offers excellent hiking, mainly on the active volcano Mt. Usu. 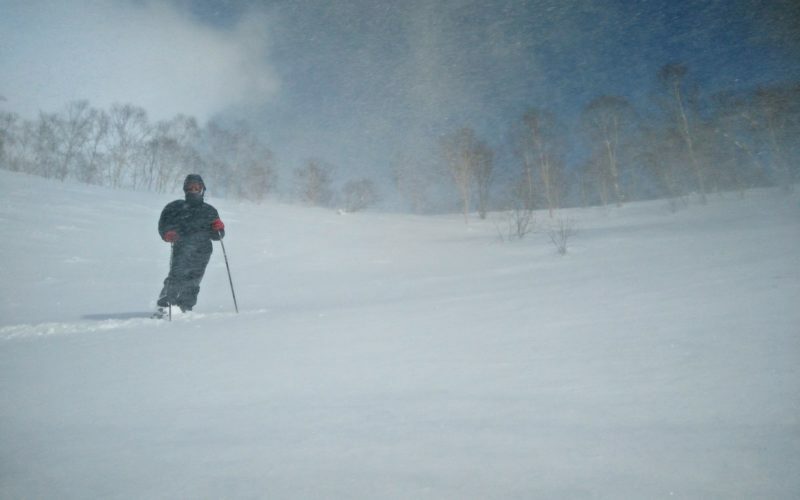 There’s also a ropeway up the mountain, giving everyone a chance to take in the spectacular vistas. 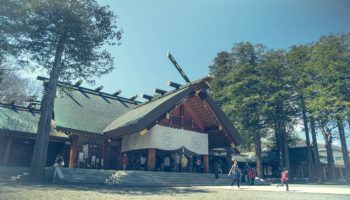 The area around Lake Toya is more developed, and there are many onsen to unwind at. 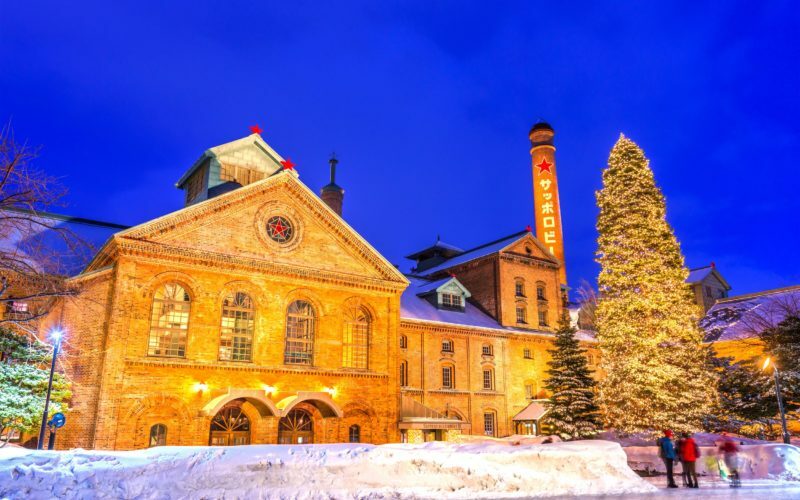 Toyako Onsen is the main town, where visitors can stay in luxury hotels and enjoy fireworks from April to October. 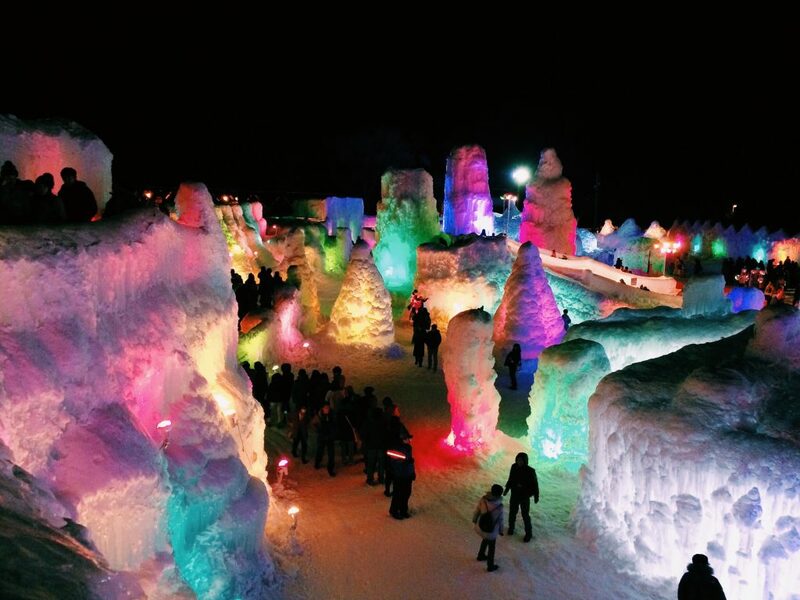 Don’t miss the spectacular Shikotsu Ice Festival if you’re in the area during January and February. In January and February, the fields beside Shikotsu Kohan are transformed into a magical winter wonderland for the Lake Shikotsu Ice Festival. The colorfully lit ice sculptures and ice castles look like they came straight out of the movie Frozen. Toya Station can be reached from Minami-Chitose Station, one stop from New Chitose Airport, by Limited Express Hokuto (80 min, ¥4290). 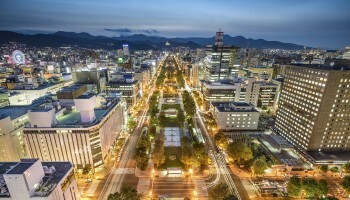 From there, it’s a short local bus ride to Lake Toya and Toyako Onsen. Chuo Bus runs roughly every 3 hours between New Chitose Airport and Lake Shikotsu (1 hour, ¥1030). Public transportation to the park is tricky, and within the park it’s almost nonexistent. For those interested in exploring multiple areas, a rental car is recommended. 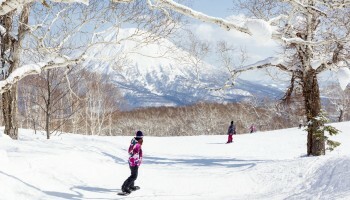 Cars can be rented in Sapporo or at New Chitose Airport.